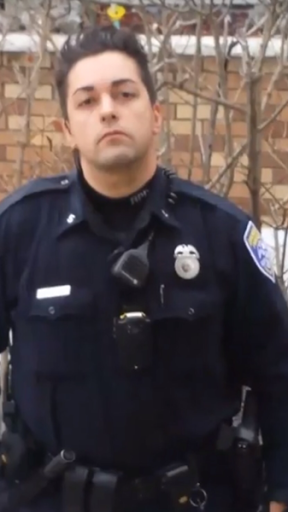 A video posted to Facebook over the weekend shows a Rochester, NY Police officer walking onto private property and asking a black youth for his name, simply because the young man looked at the officer. Nishsean Napier had moved his mother's car Saturday afternoon to the opposite side of the street so she wouldn't get a ticket. That's when Rochester, NY Police officer Jonathan Laureano drove by slowly, staring at Napier. But when Napier looked back at Officer Laureano, well, Laureano thought that was suspicious. 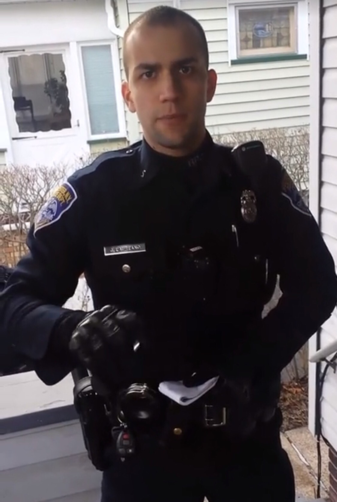 So Rochester Police Officer Laureano turned around, stopped his cruiser in front of Nishsean's house, got out, and walked on Napier's porch, demanding that the youth give him his name, date of birth, and at one point, the RPD cop even asks the young man for his phone number. Perhaps even more disturbing is how Nishsean's mother not only seems completely clueless as to her own son's constitutional rights, but also takes the cop's side, instead of her own child's, eventually giving the cop her son's name. At one point she even criticizes her son for video recording and documenting the entire incident. 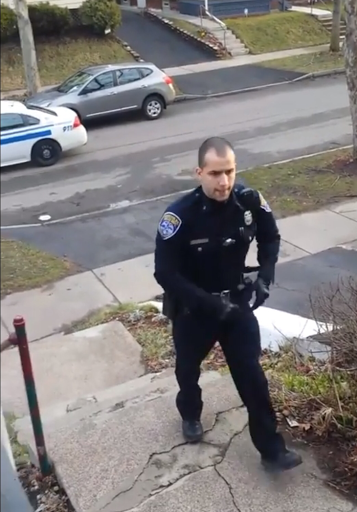 Rochester, NY Police Officer Jonathan Laureano Walks Onto Private Property. 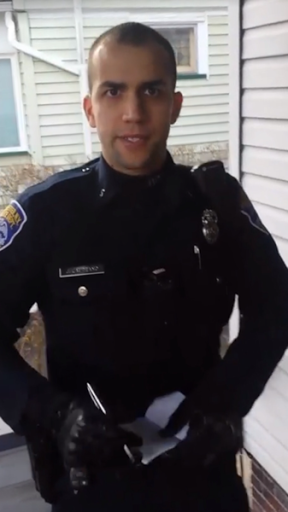 Rochester, NY Police Officer Jonathan Laureano Asks Black Youth for His Name. 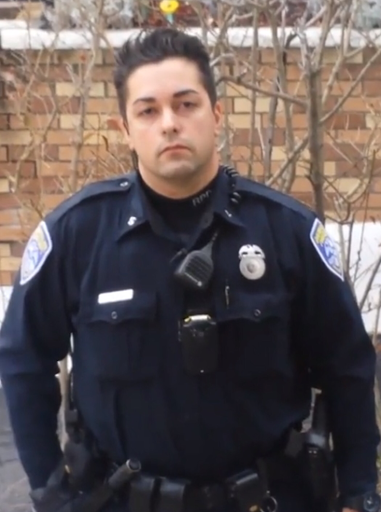 Another Rochester, NY Police Officer Stares Black Youth Down.